Hello Frndzzz.... www.dealsnloot.com Back With New SnapDeal Refer And Earn. Open Snapdeal App You Will See Below Screen. Now enter your Un-Registered mobile number and click Continue. Now Just Verify Your Mobile Number And Click On Sign Up. You will get Free Rs 100 SD Cash as signup bonus. 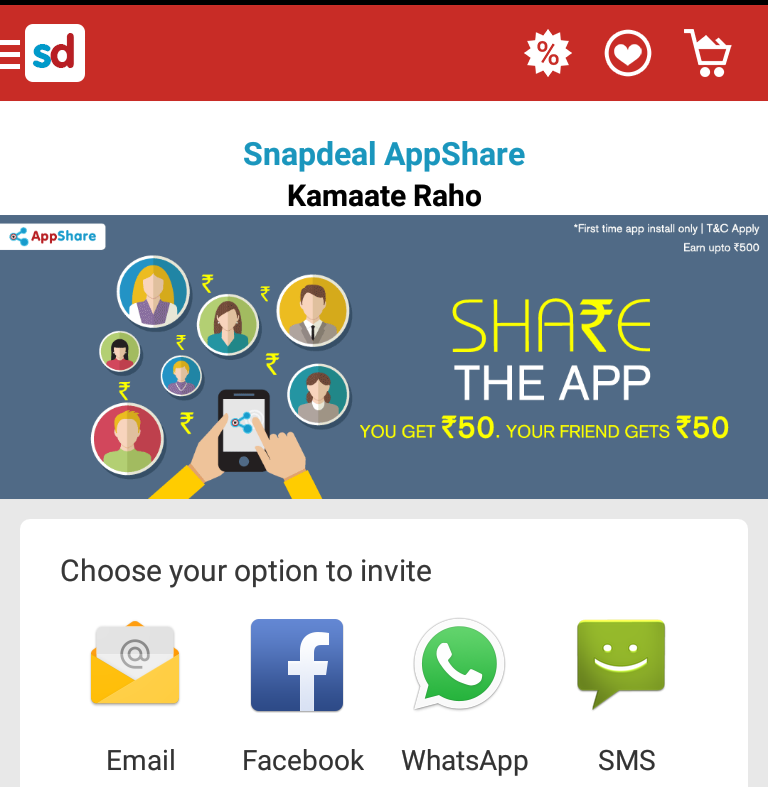 Now SignIn/SignUp On Snapdeal App. After signin / signup go to menu and click on Refer and Earn. There you will find an options “Start Inviting” . Now Just Send Your Invite Code To Your Friend. Per refer you will get additional Rs. 100 Snapdeal Cash. You will receive Rs.100 in your Freecharge Wallet when they make their first purchase on Snapdeal App. 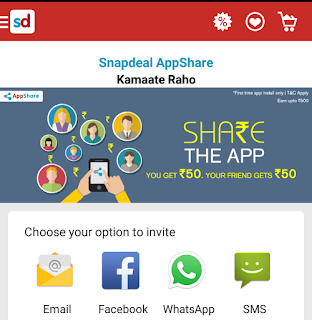 You Can Earn Upto Rs.300 + 100(Signup) Snapdeal Cash. When u Register your snapdeal a/c Enter invition code is necessary . If already Register ur snapdeal a/c in ur phone then u will not get Reward for first time . Note : Maximum Snapdeal cash you can earn from one account is Rs.400, so change your referral code after collecting Rs.400. is unlimited trick really working for rooted mobile?? I followed the above steps but when I open the app and press earn reward it says unable to validate the device. I followed the above steps but when I opened the app and clicked 'Earn reward', it said 'unable to validate device'.